Luxury living with style & comfort. Welcome to The Ridge at Lake Sawyer. This 3940sq ft custom home is nestled behind a private gate & sits on 2.24 acres. As you enter this home you will notice the custom finishes throughout with beautiful millwork & travertine flooring. The spacious master suite features a cozy gas fireplace, five piece bath, mud set shower & designer closet. Relax under the covered patio while enjoying the fire pit and fountain. A 4 car garage completes this beautiful home. First time on Market for this custom built 3 Bdrm + Den/2.75 Bath home. Tucked up adjacent to Seattle watershed it offers privacy galore. Featuring a stunning entry highlighted by rich hardwood floors and trim. Large, open Kitchen with granite counters & Island. Three spacious bedrooms w/possible 4th bedroom/office on main. The Master Bedroom features a spa-like En Suite & custom walk in closet. Attached 3 Car Garage, fenced paddock & 2 stall Barn with tack/feed room or possible shop/storage. 253 +/- acre Brady Tree Farm located about 3.5 miles east of the City of Montesano. The property consists of a 4,667 +/- sq. ft. one level home with large barn and shop, Christmas tree farm and timberland tract. The home, built in 1992, has 3 bedrooms, 3 bathrooms and an oversize three car garage. The Christmas tree farm contains primarily noble fir and has approximately 80,000 trees. The 149 +/- acre timberland tract has an estimated 1,114 MBF of merchantable timber for near term cash flow. Garrette Custom Homes presents the Rialto, in highly sought after Brown's Point. 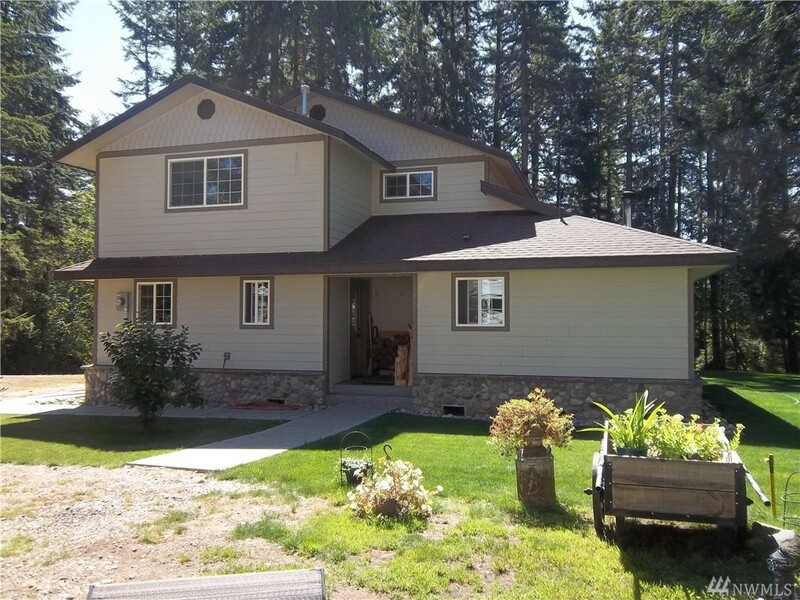 4 Bedrooms, 2.5 Baths, a large Master Suite, and views of Puget Sound! Formal Dining , a Butler's Pantry, Holiday Gourmet Kitchen and Covered Patio are a dream to entertain in! Attention Investors/Developers/Builders! Prime residential development opportunity in fast growing Covington. 8.16 acres; sub dividable, zoned R4. Potential for new homes. Value is in the land! New construction nearby with homes sales averaging $450K. Existing structures include recently remodeled 2 story, 3 BR home, 80' x 30' x 18 RV Garage/shop with office & full bath, covered parking for 8+ vehicles. Electric on property. Water & sewer available. Buyer to verify all information. Welcome to Providence Ridge a 38-unit subdivision located in the Issaquah School District. This neighborhood consists of multiple craftsman style plans including this home with basement walkout to year yard and 5 bedrooms. This home backs to protected space and has many high end finishes like Quartz counters and hardwoods on the main floor; also, our 3-year warranty and incentive money with the use of our in-house lender. Great Value, Great Home, Great Location, completing soon! Move-in ready! Mountain views. 3093 sft, 3.5 bth,2-car+Huge shop area, MIL/5bdrm+3.5 bth. 9' ceilings, over-sized slider & windows. Fabulous kitchen, single basin sink, granite counters, HUGE island, shaker cabs w/soft close & pull out shelving, SS Electrolux appli, incl F/W/D undercab lighting. HDWD on main, Bdrm on main w/shower. Upstairs laundry w/sink, 5 piece mstr bath & tub for two! Tankless water tank, gdo, fence & Full landscape included. - NO sewer capacity charge! Welcome to Providence Ridge, a subdivision including 38 homes. 5 bedroom home has low maintenance yard, upgraded GE appliances with Bluetooth and convection microwave and has many high end finishes like Quartz counters and hardwoods on the main floor. It also includes our 3-year warranty and incentive money with the use of our in-house lender. Located in the amazing Issaquah School District, our high school is Skyline. It's vacation time year round in the highly cherished & coveted Crystal Lake gated community with 400+ acres of tree farm, hiking trails, fishing, clubhouse and sports court. Well built/maintained 1 owner waterfront home with views of lake from almost every room. Beautiful clear fir doors/trim & radiant heated flrs. ;tons of storage and new ext. paint. MIL/shop w/.75 bath. Great for entertaining with Western exposure, deck, terraced yard, sandy beach and fire pit! Extra gar. for RV/boat. Live in the center of the universe in a rare Net Zero Energy home by award winning Green Canopy Homes. Incredible presale opportunity for buyer to personalize this dynamic 4 bedroom floor plan designed for open concept living, abundant natural light and outdoor connection. Features include: Spa-like master, Sense Energy Monitoring System, Smart Technology throughout & Solar Photovoltaic Panels. Dedicated parking with each unit. 5 Star BuiltGreen pending. RARE close-in acreage. 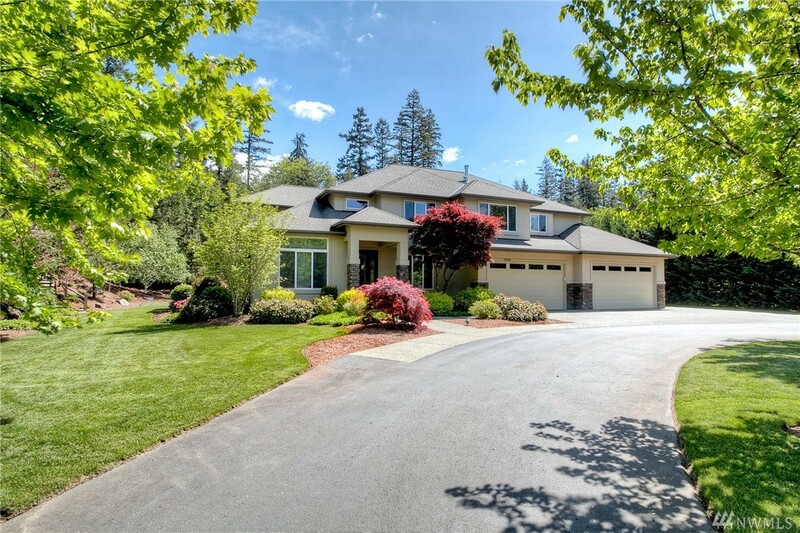 Gorgeous luxury estate w/private drive on 2 flat sunny acres & close to Microsoft, Kirkland & wine country. Easy drive to DT Seattle. Entertainers' delight w/epicurean kitchen, huge slab granite island, butler's pantry & cozy built-in seating area. Expansive hardwood floors, high ceilings & premium carpeting. Master BR w/massive closet. Huge bonus room. Brand new roof, A/C, generator, & closed circuit TV. Enjoy bird & nature watching from your private "conservatory". 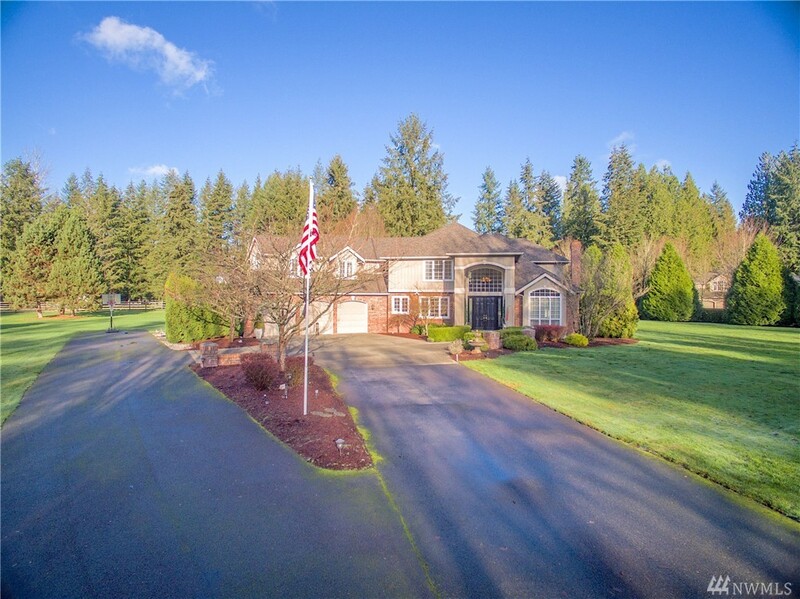 Walk to Enatai Elem, mins from DT Bellevue & convenient to the major freeways awaits a stunning custom home. Grand entrance w/ vaulted ceilings & formal living/dining rooms blend w/ a gourmet kitchen opening to a spacious family room flowing seamlessly to the screened outdoor area. MF master & guest suite + 2 bdrms upstairs (easy potential for 3,) find perfect living spaces for all who reside. An unparalleled bonus room topped w/ expansive fenced backyard, entertaining here is endless. HUGE PRICE DROP! Move in before the holidays! This gorgeous Loyal Heights 4 bedroom craftsman home w/solar energy lives better than new. Main floor boasts kitchen w/Carrara marble cntrs, tiled bksplsh & Viking appliances. Enjoy formal living/dining rm & office. Spacious upstairs has 3 beds w/huge master, his/her walk-in closets and sun deck w/sweeping views of the Olympic Mountains. Basement has media rm w/add. bdrm & full bath. Grace in volume, style & finish. Wood, stone & metal adorn a Tom Kundig architectural masterpiece; connecting modern to historic Seattle. A 20-foot wall of glass frames downtown Seattle for gatherings both festive & intimate. Grand dining & a perfect chef�s kitchen. An unparalleled master with expansive 5-piece spa bath & massive closet. 2nd en-suite bedroom & media/den. Drive or step out on foot; easy auto, rail & ferry. Upside in Pioneer Square, Waterfront & Seattle Tunnel Projects. Elegance.